Race Recap: Walt Disney World Half Marathon | Fit Girl. Happy Girl. Congrats!! I always feel you run better when you stop getting so nervous and overthink running—that is why I think some kids and high schoolers are such good runners: their brains haven’t gotten in the way yet! Thank you Jenn! I totally agree, once you can learn to stop over thinking the running because so much easier! Congrats!! You’re always underestimating your times;) You’re fast, girl! Own it! Can’t wait to see what you do next! Ha! Thanks, Sarah! I know I really need to start owning up to it and stop being so afraid. That is a huge improvement! To PR by 10 minutes is fantastic! Imagine the things you’ll be capable of with a little less Florida humidity getting in the way! Thank you!! I can’t wait to see how I’ll do when the weather is a little better. Looking forward to the spring! Congrats! 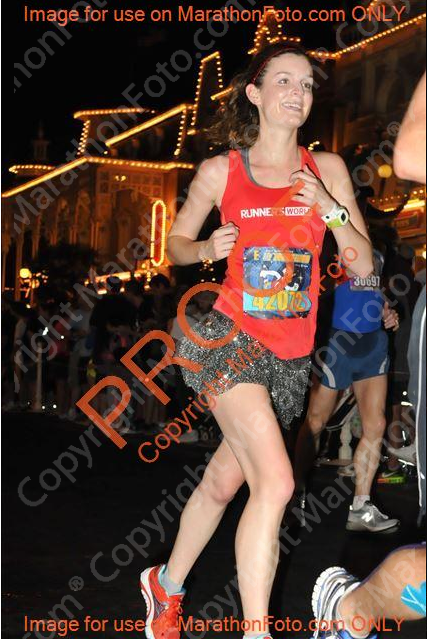 That is the fun part about Disney races… No pressure almost always makes for a more positive race experience. Thanks! Exactly, with the pressure off you can run so much more relaxed. It’s fun! Great job!!! This gives me hope that I’ll be able to hit my goal during Disney Princess! I heard the course is pretty crowded so I don’t really have high hopes, but I do know it’s super flat so that helps! You will! I would suggest trying to get as far up to the front of your corral as possible. They let corrals go in waves and being near the front will help you break away from the pack a little bit when the gun goes off. Good luck!! Congrats again on the PR! The speed clearly is there, just need to embrace it! Thanks Laura! Slowly but surely I’m working hard at embracing it. We’ll see what happens next! Congrats on your pr. Good advice on how to improve your time! I might have to try one of these disney runs. Especially since they are flat and fast! Congrats on an awesome time! I’ll be running my first Disney Half next month! Will you be at Princess Half Marathon weekend? Congratulations! It seems like all that hard work paid off! Congrats!! I actually just ran the Disney Princess Half last weekend. I’m from Boston so the humidity was killer – I ended up with a personal worst, but it’s good motivation for training!